What? Matt has a newsletter?! That is new information! Matt and stuff. Cool links. News. You know. How often does it go out? Monthly. Ish. There might be a special edition once in a while. You’re going to love this. It’s free. What?! I’d pay twice that much! Yep. And all you need to do is fill out the thingy below. 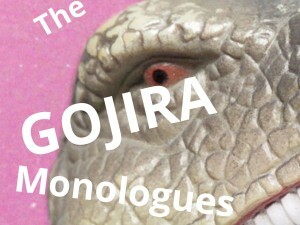 You’ll get an email from WriterFace for The Gojira Monologues newsletter. Confirm it and you’re on your way to flavor country.